FastKlean has more than 15 years experience in the industry and a proven track record as a highly professional and effective cleaning company. We are therefore ideally placed to handle a wide range of cleaning jobs including those that can be challenging and need to be carried out very regularly. Once of these jobs is car dealership and showroom cleaning. Showrooms generally can cause cleaning headaches and when they are car dealership showrooms the need for a range of regular, thorough and effective cleaning services becomes even more pressing. No business, regardless of the type or industry, wants to create a negative impression on their customer in any area of their premises. 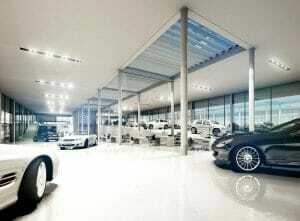 Car dealerships are no exception and the competition in this industry is fierce. As a result dealers need to use every business tool available and the impression a dealership makes on its clients is part of its marketing. The condition of the car showroom must create a positive first impression and reflect the quality of the vehicles and the dealership. In other words, it needs to look as spotless and gleaming as the cars in it! All showrooms, by their very nature, will contain multiple goods on display and will – hopefully – attract heavy foot traffic. People moving through these spaces and around the items on show will inevitably walk in dirt, dust and other debris that mark and / or collect on floors and other surfaces. If the goods on display are motor vehicles there are additional footprints left by the cars themselves. While new motor cars will rarely drip oil or other fluids, tyres frequently leave black or dark tracks across the hard, shiny floor surfaces such as the ones usually used by dealers. 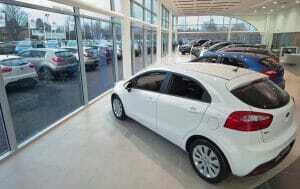 Cars have to be moved in and out of the showroom on a fairly regular basis in order to display different or new models. Dealerships do not want anything to distract potential buyers from the car brand and certainly not from the shining vehicles standing on their floor! 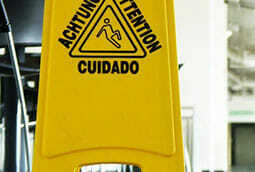 This means the hard working floors need to be kept clean at all times. In addition, car dealerships have multiple areas with different cleaning needs: reception spaces, carpeted areas such as offices or meeting rooms, bathrooms and communal staff rooms such as kitchens. 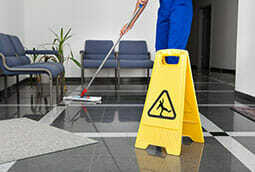 Each requires different cleaning activities, materials and methods. 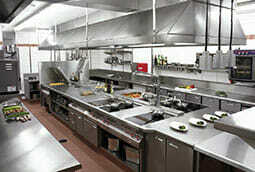 At fastklean.co.uk we handle them all so that every part of the premises is clean. To achieve this our commercial cleaners use eco-friendly products, specialist equipment and tried and trusted methods to leave a car dealership and showroom clean from the shining floor and gleaming windows to refreshed and cleaned carpeting and upholstery to spotless and hygienic wash rooms and kitchen. We will also carry out the work at a time that is most convenient for our client and least likely to cause any disruption to the business or inconvenience. Call our friendly and helpful today on 020 8884 9149 to discuss your specific car dealership and showroom cleaning needs and to obtain a no-obligation, free quote!